Koh Lanta has several five star luxury hotels that combine the best of island living with beautiful surroundings and fine dining. 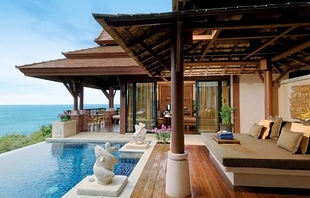 For the ultimate vacation rental, book a private hotel villa as listed below. The Villas offer you more privacy and seclusion in the hotel complexes with private pools and breathtaking sunset views. 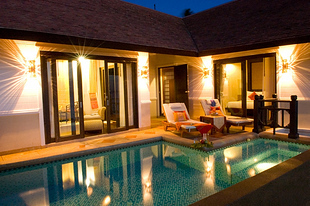 Pimalai One Bedroom Pool Villas are spacious, elegant and unpretentious in their architectural design. 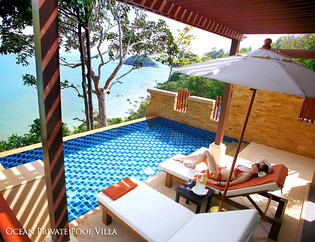 The Villas provides commanding views of Kan Tiang bay and the surrounding lush tropical forest. 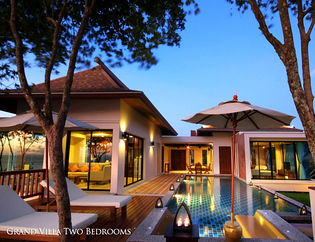 The Sunset One Bedroom Pool Villas are set with in the luxury Rawi Warin Resort. Four units are housed on the beachfront ground level while the rest are on the first row on the hillside. There are several ways to get to Koh Lanta, the quickest and most convenient being the Fast Speedboat Transfer.